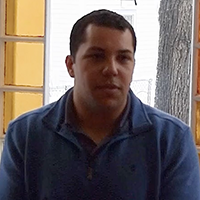 Jonathan Fonvielle, Atlantic Vacation Homes (Reservation Sales Supervisor) Explains how the customization of TRACK Pulse has helped their agents. "There was definitely a bit of a learning curve when we first started just by switching over to something entirely new, but it's been good and very adaptable to what we need. I love the customization that I can change a lot of the features. What we had before was very rigid and set in stone. We couldn't update what we needed for our agents."